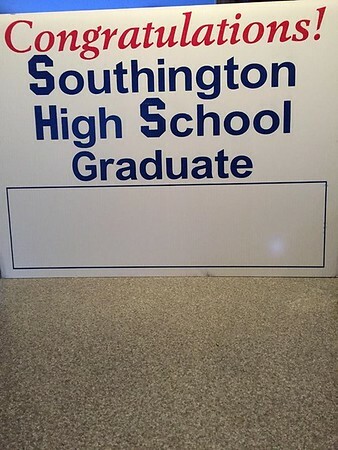 SOUTHINGTON - The “All Knight Graduation Party” Committee has established a GoFundMe page to help raise money for a safe, fun night of celebration for graduating high school seniors. The party, named after the school’s Blue Knights football team, will be held from 9 p.m. to 4 a.m. on graduation night in the gym, cafeteria and auditorium at Southington High School at 720 Pleasant St. The graduates will be able to eat, dance, win prizes, play games, and enjoy one last night together. The party is sponsored by donations from retailers, parents, and other community supporters. More than 300 volunteers, including parents, local seniors and other community members, will be there to supervise and run the event. Pestillo said that he is looking for volunteers to sign-up to work the party. He is also reaching out to businesses for raffle prizes and food donations. The GoFundMe page, he said, was established to make fundraising efforts easier. Since it was created Jan. 23, Pestillo said that the committee has raised more funds than they had collected at this time last year. Pestillo said that the graduation party committee will also be selling graduation lawn signs, which will be available soon. The signs will be $25, but people will also be able to pay an additional $25 to be entered into a raffle for a chance to win preferred seats at the graduation ceremony. This will be Dave and Michelle Pestillo’s fifth year and last chairing the event, which has been held for 25 years, as they are preparing to move to Tennessee. Dave Pestillo said that it has been a “great event” and both he and his wife wished the high school seniors well. “Don’t be afraid to make mistakes as long as you learn from them,” said Dave Pestillo. Donation levels include platinum, $2,001 to $5,000, gold, $1,001 to $2,000, silver, $501 to $1,000, bronze, $250 to $500, and Knight Rider, $100 to $249. For further information, or to sign-up to become a volunteer at the party, visit the All Knight Graduation Party Committee’s Facebook page at facebook.com/groups/548843562301035. Posted in The Bristol Press, Southington Herald on Thursday, 11 April 2019 18:25. Updated: Thursday, 11 April 2019 18:28.